What you need is the hole not the drill - Collaborative Consumption was named by TIME magazine as one of the top trends of 2010. It describes the model of sharing, swapping, bartering, trading or renting that have been enabled by advances in social media and peer-to-peer online platforms. Rachel Botsman’s TED talk championed the idea, and we’ve seen a revolution happening from neighbor-to-neighbor car sharing to luxury designer dresses, from co-working to peer-to-peer lending. 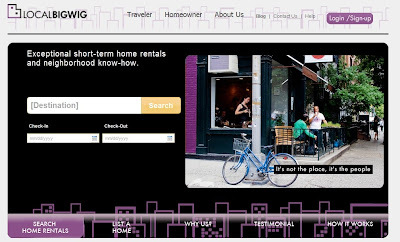 Sharing living spaces, led by CouchSurfing and AirBnB makes travel accommodation so much easier. 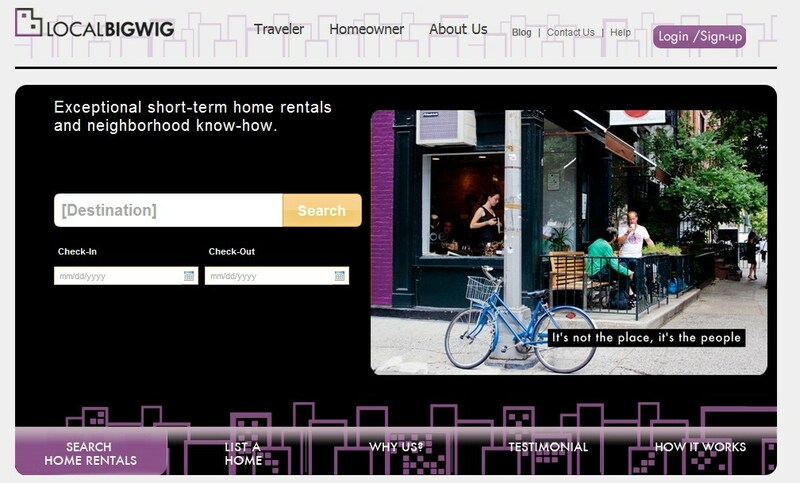 LocalBigWig, a new startup based in New York, makes it really easy for homeowners to rent their houses with travelers for extended stay. Different from nightly or weekend rentals, LocalBigWig’s home rentals are generally booked for longer period of time, and are entire home only, mainly by business travelers on temporary assignment or relocation, and families that wants more privacy of the entire home. These segments are not well served today and LocalBigWig found the niche to tap into their needs. As of January 2011, LocalBigWig is already in many metropolitan areas such as New York, San Francisco, Seattle, Los Angeles, Miami. It's expanding rapidly to all US and Canada. What are the secret projects they’re working on? Ray hinted: video, social media, and hyperlocal content. What’s their biggest challenge? Keep the system open, but not being left out of the commission. Just like any marketplace, sufficient communication among buyers and sellers are essential to make the deal happen, but a total open system may enable buyers and sellers to bypass the intermediary and make the transactions directly. They’re implementing some clever ways to solve this challenge, if you want to hear more, and other insider stories behind the scenes, come to Travel 2.0 Meetup’s Online Travel Startup Discussion on January 17th in NYC, and listen to Ray himself telling the tales of his journey! RSVP, and see you there!